1981 HEADLINE: Fernando Valenzuela Becomes 1st Rookie To Capture Cy Young and ROY Awards!!! 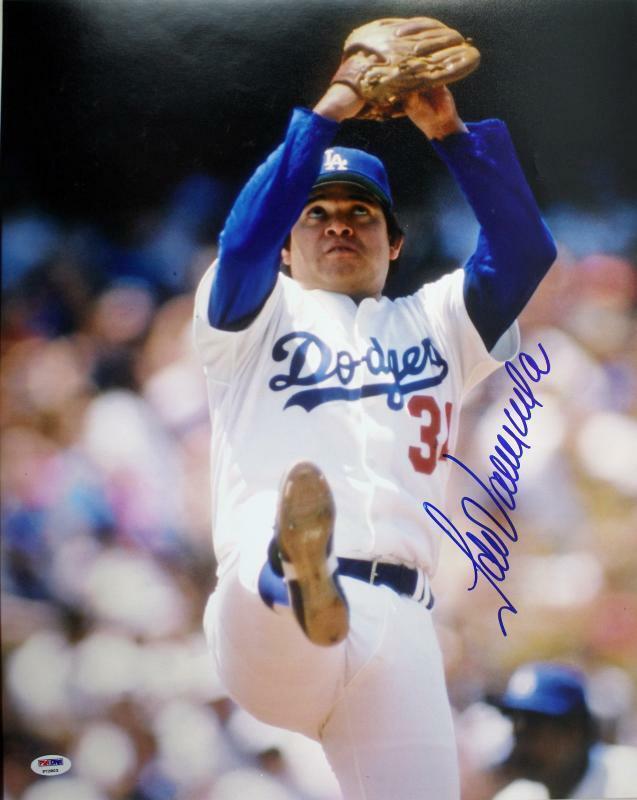 On this day in 1981, Fernando Valenzuela won the National League’s Cy Young Award. The week prior, he was named as the Rookie Of The Year, becoming the first player in major league history to earn both the ROY and the Cy Young Award in the same season. The numbers? Let’s take a closer look, shall we?? 13-7 record with 11 complete games and 8 shutouts. 180 strikeouts with just 61 walks and an ERA of 2.48. Not too bad for a 20-year old hurler, huh?? 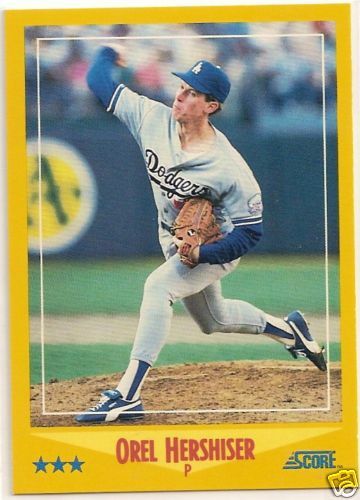 On this date in 1988, Orel Hershiser captured the National League’s Cy Young award in a unanimous vote. Taking all 24 first-place votes, this award capped an unbelievable season for the right-hander. 23-8 during the regular season with 15 complete games and 8 shutouts. In 267 innings of work, Hershiser compiled a low ERA of just 2.25. His dominant year led to another selection to the National League All-star team and his first Cy Young Award. During the playoffs, Hershiser led the Dodgers to the World Series championship while winning both the NLCS and World Series MVP awards in the process!! Some come into the league and dominate from the start. And then there are the guys that barely make a roster yet have a 20-year career. 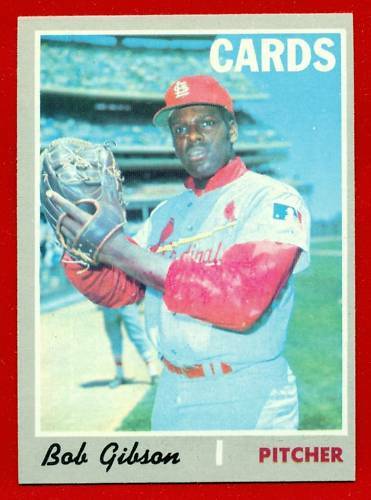 In Bob Gibson’s case, I bet there were very few that thought that the 23-year old pitcher from Nebraska that turned in a 3-5 seasons in 1959 was going to become a Hall of Famer. And I wouldn’t mind getting one of these!!! 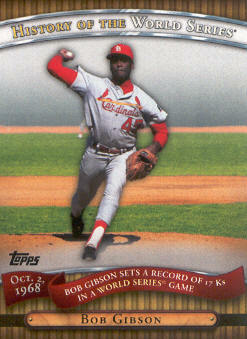 Bob Gibson was elected to the Baseball Hall Of Fame in 1981. He was awarded entry on his first ballot as he captured 337/401 votes cast. 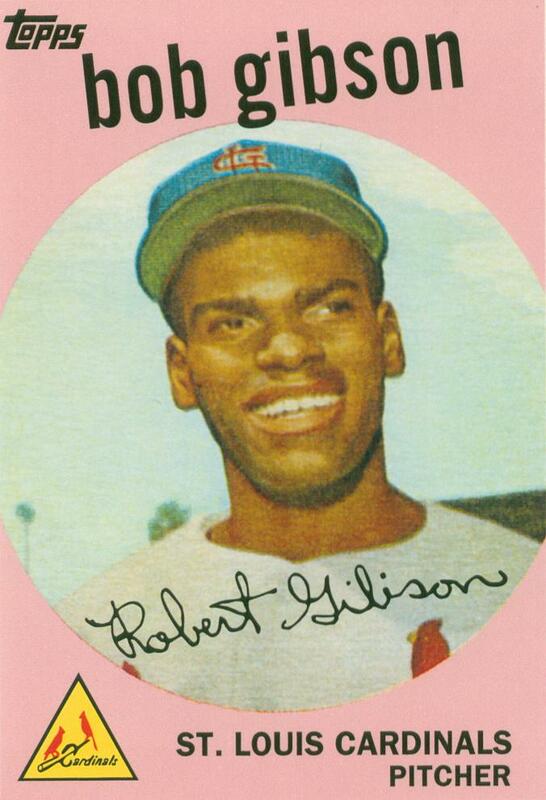 While Gibson played on some pretty poor Cardinals teams during the begining and end of his career, he also starred on their dominant squads that played in the mid 1960’s. And during a span of 5 seasons, Gibson and his Cardinals teammates competed for 3 World Series championships – winning 2 of them. And in those 3 match-ups, Gibson was unstoppable!! 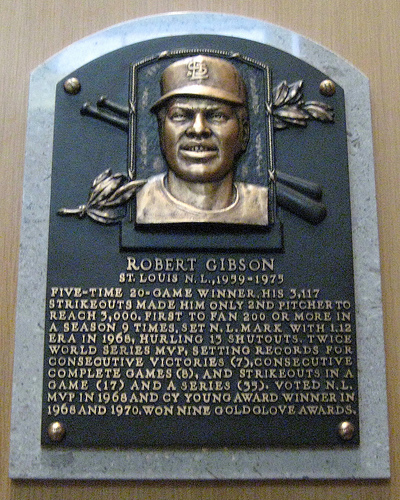 Competing in 9 contests, Gibson went 7-2, while throwing an incredible 8 complete games including 2 shutouts. His ERA in World Series play is a low 1.89. And in 81 innings of work, Gibson struck out 92 batters while walking just 17. It is no wonder that the Cardinals won the 1964 and 1967 World Series. And it is also no wonder that Gibson collected the World Series MVP trophy in each of those triumphs!! On August 14, 1971, Bob Gibson was masterful as he and his Cardinals teammates battled the Pirates in Pittsburgh. Defeating the team by himself, Gibson did what everyone knew that his talents could offer. Allowing no hits to a very talented Pirates squad, Gibson made major league history. He went the distance in the contest while facing 28 batters. His impressive numbers from this outing include: 10 strikeouts, 3 walks, 0 runs, and 0 hits allowed!!! And ‘Hoot’ helped himself at the plate too. Going 1-for-4, Gibson drove in three runs to help pad the team’s lead. The Cardinals ended up winning the contest 11-0. Congratulations and Happy Anniversary Mr. Gibson!!! After securing his first Cy Young award in 1968, Gibson did it again just two years later. 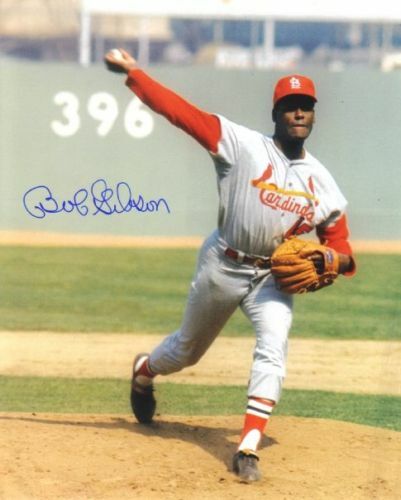 In 1970, Gibson started in 34 contests for the Cardinals. He amassed a 23-7 record, while finishing 23 of his starts, which included 3 shutouts. During that season, Gibson amassed a 3.12 ERA while striking out 274 batters and walking just 88.